Jan 30, 2017—Pakistan on Monday ordered Hafiz Saeed, accused by the United States and India of masterminding the 2008 attacks on the Indian financial capital Mumbai that killed 166 people, placed under house arrest, a spokesman for Saeed’s organisation said. The move comes after years of pressure on Pakistan to put Saeed on trial and could ease recently escalating tensions with neighbour and arch-foe India. The United States has offered $10 million for information leading to the arrest and conviction of Saeed, who heads Islamic charity Jamaat-ud-Dawa (JuD). U.S. officials say JuD is a front for the Pakistan-based militant group Lashkar-e-Taiba (LeT). 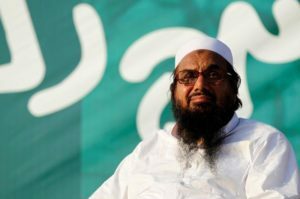 “A large police team arrived (at JuD headquarters) and told us that Hafiz would be placed under house arrest,” Nadeem Awan, Secretary of Information for JuD, told Reuters. Awan said the police tole them they had an arrest warrant for Saeed and five others at JuD headquarters in the eastern city of Lahore. 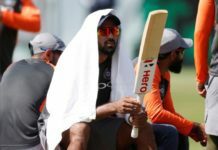 India’s foreign ministry did not immediately respond to requests for comment. Saeed has repeatedly denied involvement in the 2008 Mumbai attacks. Saeed’s continued freedom has been a source of continuing friction between nuclear-armed neighbours Pakistan and India as well as the United States. Awan said the Pakistani government had been under pressure from the United States to take action against Saeed or face sanctions. “This government has buckled under the pressure,” Awan said. Next articleTwo Indians Plead Guilty To Smuggling Foreign Nationals Into U.S.